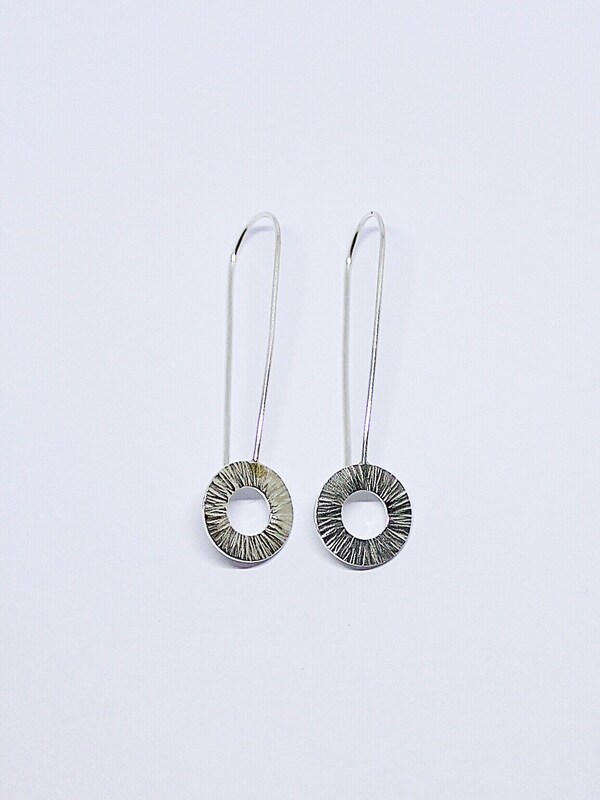 Delicate and understated drop threader earrings, finished with a hammered effect. Posted to you in a branded card box perfect for gifting. Sterling Silver should always be kept in an airtight box when it's not being worn. Remove whilst sleeping, bathing and exercising and keep away from skin products. I hand make all your products to order and aim to dispatch to you within 3-5 working days. For free Uk shipping I use royal mail 1st class which is untracked, If you wish to receive tracking information please upgrade at checkout. 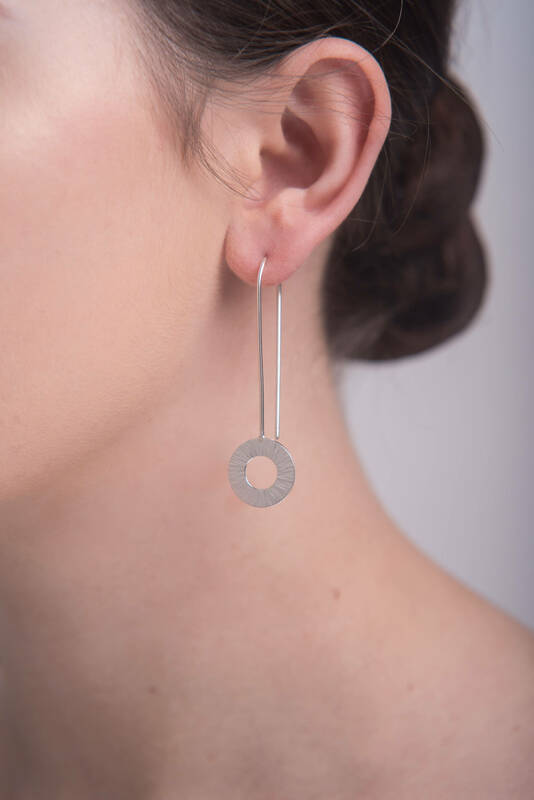 Studio Adorn is a handmade jewellery design brand inspired by modernist architecture and simple man made forms. We aim to create unique eye catching pieces with a simple understated aesthetic.